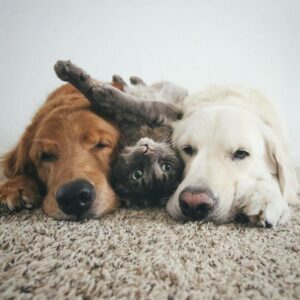 These Dogs and Cat Are Best Friends and Their Precious Photos Will Be the Cutest Thing You’ll See Today! Watson and Kiko are the wonderful golden retrievers who are used to the attention of humans and do everything in their power to become the stars of the media. Their owner has created an Instagram page for the dogs, spending hours together with their buddy Harry. Although Harry is a cat, it doesn’t stop the guys from being besties. We are convinced that they have found common interests, and now, they are confirming their status of celebrities as they keep hanging out together. You will be delighted to meet the trio below and learn more about their life. 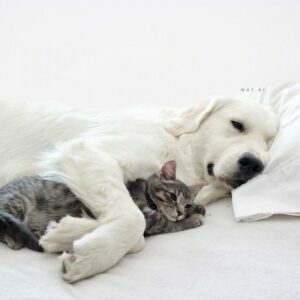 They have convinced the audience that they are companions that are perfectly okay with each other’s presence, and this means a lot for the owner, who thinks that their relationship is precious. 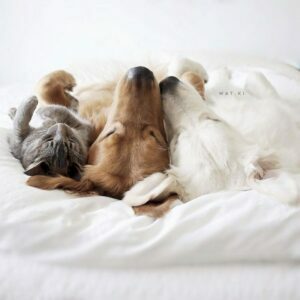 The dogs and the cat have a lot in common, and we need to check them out today! These guys are looking out of the window, and we guarantee that you will melt when you see them below. When you have a perfect company, there is no need to worry about the rest. 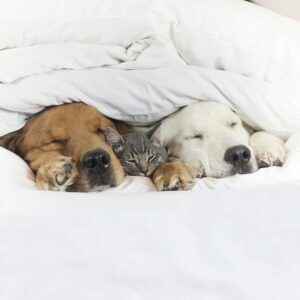 The company is taking a nap, and we love their attitude to one another. 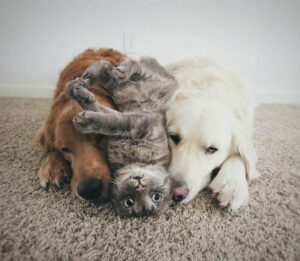 You can tell that they are besties in the traditional sense of a word! 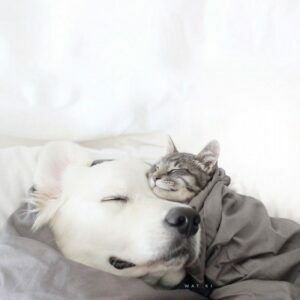 The cat seems to be a perfect addition for the duo, and he knows that well enough when he appears in the room. 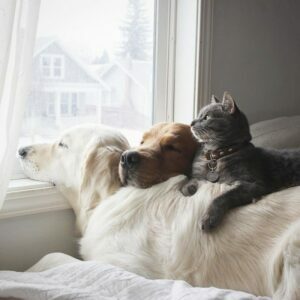 They are enjoying the hours, spent together, and the owner captures the sweet moments on camera. Cuddles are the most important part of the day, and there is no denying that this kitty enjoys them as much. 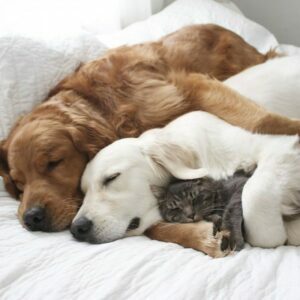 The dog is so protective that the photo will definitely put a smile on your face. 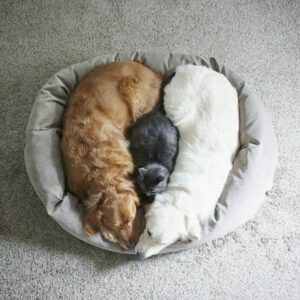 This is what we call true friendship! When you have friends you can rely on, the safety in the house is guaranteed right away. Look at the content kitten below! 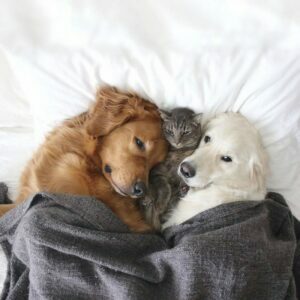 This picture can be used in a TV show about animals. Get ready to be smitten! They are a true family, and we believe that these guys deserve even more followers on social media. You will be delighted to discover them below since they have already won the hearts of the viewers.